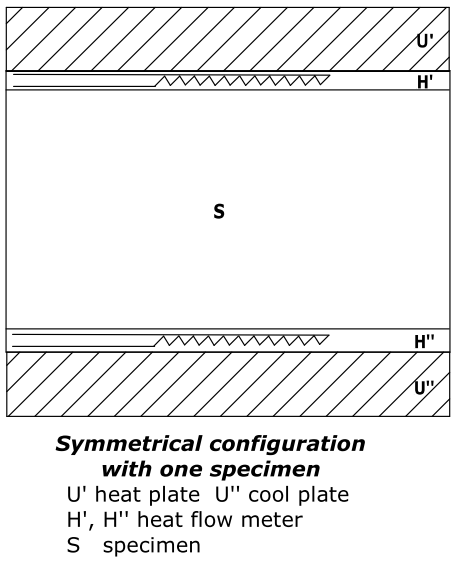 In both variants the heat flow is determined absolut with direct measurement of voltage and current at the contacts of a thermic isolated heat plate. Disadvantage of two-plate device: both to be measured specimens must be absolutely „identical“. The standard prescribes a stable condition of 0,2 K over 24 hours. 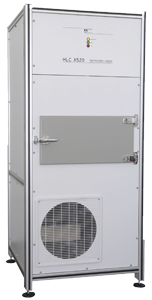 Expensive constructed this „guarded hot plate-analysers“ are installed in air-conditioned rooms and with their long measurement times the principal use is by building inspection authorities, like the FIW in München.The accuracy must be 2 % at room temperature. 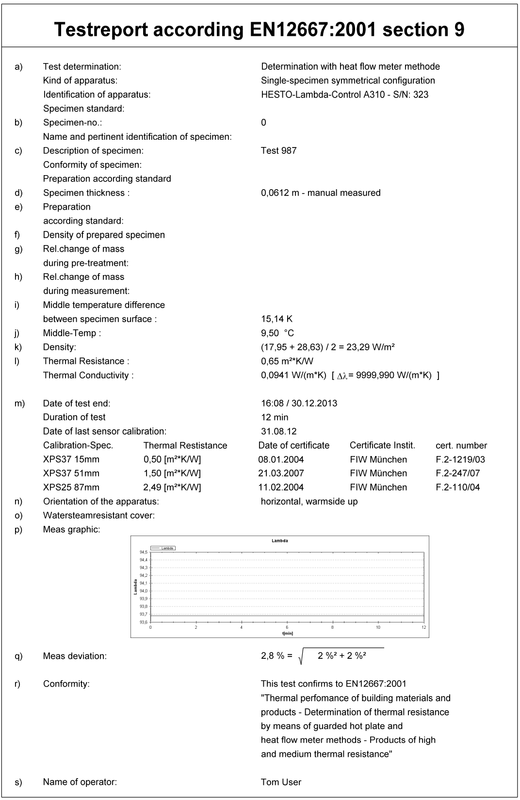 An accuracy of ±3% specifies the standard ISO8301 for analysers with heat flow meter methode. 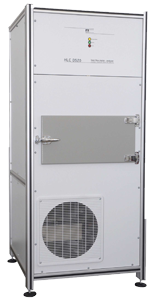 Instruments for one specimen are now built exclusively as a symmetrical arrangement with one heat flow sensor on both specimen sides. 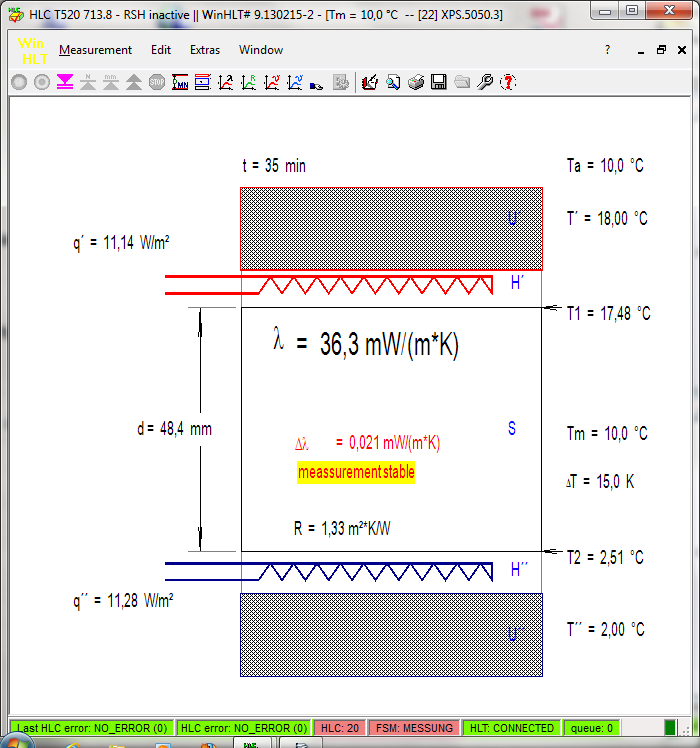 HESTO use this construction for its thermal conductivity models HLC The adjustment is made by means of reference material from accredited foreign observer (FIW, EMPA, LNE, Materials Testing Institutes) and compensates all the measurement influencing individual device tolerances. 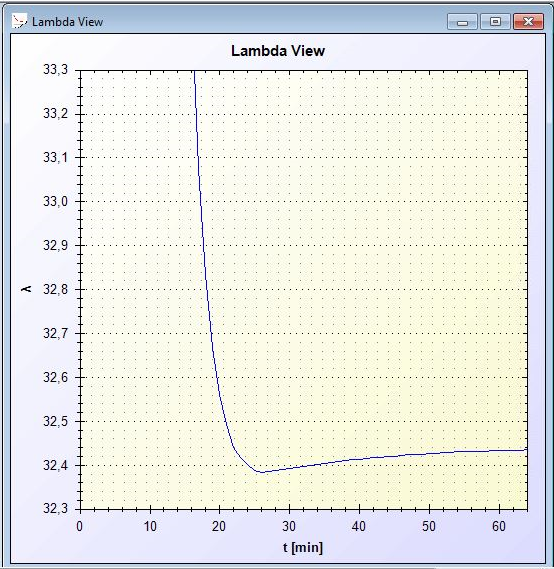 That a HLC still measure correctly, is anytime ensure out by measuring a supplied, long-term stable test specimen. Some competitors impress with a meas accuracy of 1% or better. However it should be noted, that thermal conductivity is calculated from the four physical quantities length, temperature, electric current and voltage. For meas technicians is 1% accuracy under such conditions as robust as the provided information of vehicle producers for the consumption. With the standard meter can be found for the length a measuring basic, such a reference is missing for the heat transfer properties. 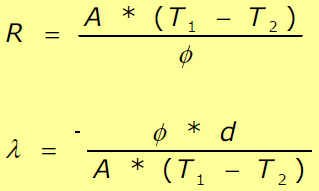 The „true“ λ-value is therefore a hypothetical size, which the certification bodies (supervisory bodies for the insulation industry) approach by ring measurements. In the industrial application area, the relative method of HLC with two heat flow sensors as per standard ISO8301 is a fast, accurate and cost-effective analysis system. 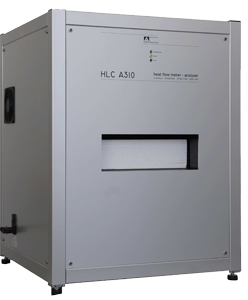 With their uncomplicated and fast determination the HLC-analysers will especially used for short-term process corrections in the production area. 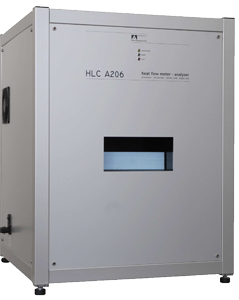 HLC devices require depending specimen thickness and material 20 to about 200 minutes measurement time. Ensured in a maintenance-free mode, a practical repeatability-tolerance of less than ±1% under equal conditions are a comparatively excellent safety and precision. In passed 30 years HESTO analysers become a standard in internal production control by many insulation manufactorers in Europe and beyond. With the reliability of our measuring instruments and always close personal support we have earned the trust of our customers: life of more than 20 years are impressive proof for the quality of our work. For the european industrial area the quality systems become standardize with ISO9001 resp. EFQM. A cyclic check of the used measuring equipments with certification is a fundamental requirement for the audit. Accomplish to this demand we offer an inspection and cleaning-service with a traceable acceptance protocol for the HLC analysers. Quality management systems also recommend to document all measurements. This task meets the scope of delivery software WinHLT#, which is to be installed on a standard WINDOWS-PC. The program provides all operations of HLC-analyser, displays and stores graphical meas profils, produces automatically testreports (selectable additionally as pdf-files) and stores all results at meas-end into a data-bank on PC harddisc. On request the company logo can be built up in the test report.